There is no limit on the number of portals that you can setup. Each one is treated individually and each can have their own options set. Want one to be active and another to be in ‘Test’ mode? Want to send one only once each day but another twice per day. This is all possible with this add-on. Once activated, the different portals will display under the ‘Marketing’ section of a property. 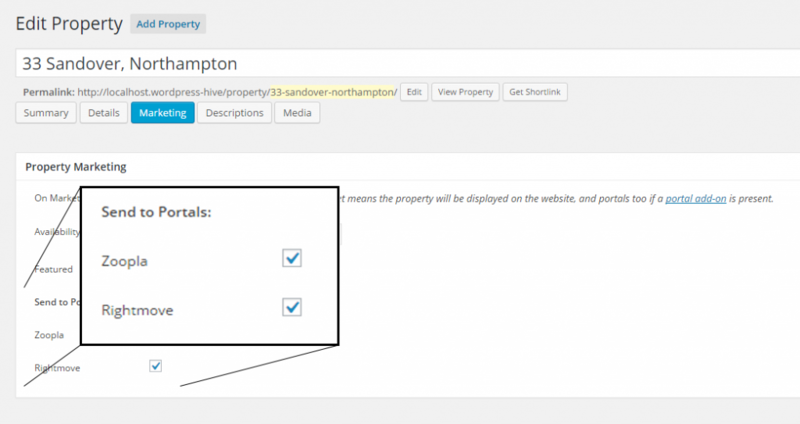 This means you can explicitly choose which properties go to which sites. The add on supports both UK and international properties. You can enable logging and keep a history of exactly what was sent, to who, and when. You’ll also be able to see the start and finish time of each feed being ran, and whether an upload failed. Please check with the property portals you wish to send your properties to that they support the BLM format. The majority do, including Zoopla, OnTheMarket, Gumtree and many more, however Rightmove for example, no longer support this. You should use our RTDF add on in this scenario. 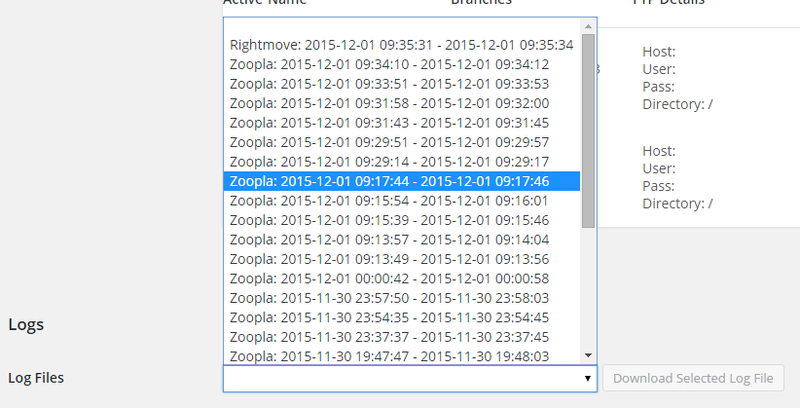 * Added 'Tools' section allowing properties to be batch activated and deactivated. Useful for when setting up a portal for the first time. * Added the ability to view and download the BLM in it's current form. Useful for checking what is sent, and sending to new portals for verification pre go-live. * Added a new column to the portals table showing how many properties are currently active on that portal.